Our world, at present, stands on the shoulders of automotives and all kinds of motor vehicles. Be it a two, three or four wheeler, these occupy the most integral and essential part of human existence at this point. Although vehicles enhance mobility and help with daily conveyance, they pose certain subtle threats to our world too, which need to be addressed. The rubber tyres adorning a vehicle seems as one of the most elemental thing in every person’s life. They look small, simple, user friendly, and extremely helpful. But you would hardly expect an object such as this to pose a means of damage. But, believe it or not, this small and seemingly insignificant means of utility carries an unexpected source of danger to our world. Tyres are a subject that one needs to confront with guidelines. If not, the hazardous effects could affect our world by these seemingly harmless things that we all need and depend upon. First, let’s address the question to everyone, who has read this should be having by now. How in the world could a tyre pose threats? Understand, fundamentally, that the unseen problem lies with the materials that tyres are made of. A combination of non-biodegradable compounds are used to make these components. In a simpler term, these are compounds that do not participate in the process of natural recycling and cleansing that the majority of the other materials of the Earth take part in. In other words, these compounds cannot be broken down by natural, harmless means as it was supposed to be. This, as a result, leaves only one manner for them to be destroyed. The only way to get rid of these materials is by burning them. And here comes another group of problems. Burning tyres poses a risk to the environment in particular. When the non-biodegradable compounds are burnt, they release harmful gases that pollute our atmosphere and contribute to environmental degradation. And tyres particularly pose a much larger quotient of these dangerous compounds than other materials such as plastics and papers. Therefore, burning them causes detrimental value to our own planet and its environment. In addition to this, burning tyres could pose a more serious risk. Fires caused by them are of a considerably intense type. As a result, their disposing by burning them in a large pile is a greatly dangerous prospect, for there are chances of the fire going out of control. Furthermore, fires caused by tyres also bring a heavy deal of damage to the environment. Aside from environmental hazards, it also leads to a potent hazard for life forms in that area, including human life as well. Public health suffers as a result of mass burning of tyres. As a result, burning and disposing them is not only considered wrong, but also banned in several countries. Another problem that used tyres pose, is that they occupy a great amount of space. Several countries have illegitimate tyre dumping areas. These are unoccupied spaces in the countryside, which are illegally used by people to dump used tyres. Over time, these areas grow and turn into ungoverned landfills, where people dump and throw not just these components, but practically everything. This can bring a great nuisance value to people of that region, and to the interest of general public. As a result, such illegitimate dumping spots for tyres are not allowed in most countries. Dumping them in landfills occurs only in areas that are sanctioned by the government. These particular spaces are looked after by the government, which carries out this process in a regularized manner that does not end up affecting the environment or the people of that region. 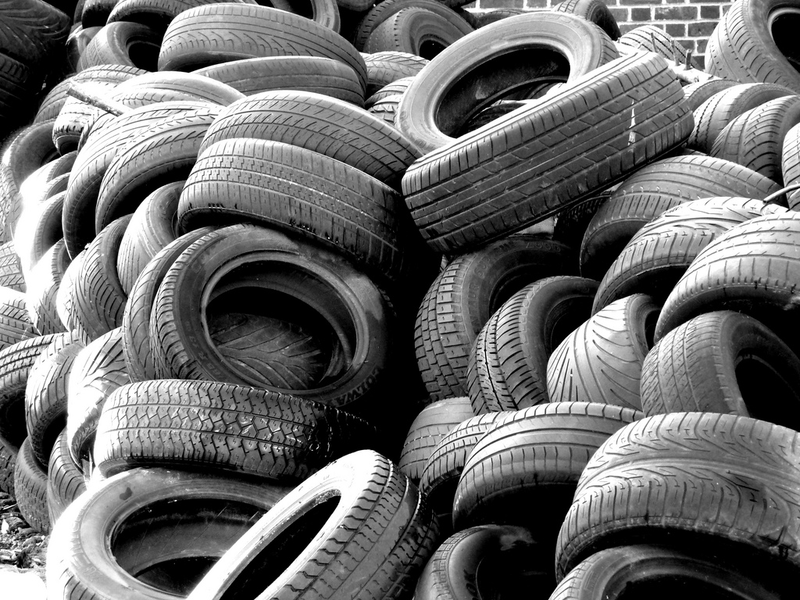 Tyres are a source of great function and utility, and they are a primary source of support for our world. However, we also need to follow a set of specific guidelines when using, and disposing them. Nature has gifted us with a great range of materials for our existence. Our duty, in return, is to respect and value these things, and take necessary steps to keep them in balance with the rest of the environment.